It’s time to take a look at something different. A cinematic design library with quite an unusually niche twist – instead of being like every other cinematic design library focusing on modern cinema, this one is designed for past cinema – Texture Mozaik by ThePhonoLoop. Let’s see what the fuss is about. ThePhonoLoop is relatively new in the sample market. They provide a specific niche – samples recorded to cassette tape. They have released a line of smaller libraries focused on different keyed and mallet instruments, and some vintage drum samples, but Texture Mozaik is their first full-featured library with all-around content. Texture Mozaik ships with a wide variety of sound sources recorded to tape, including bowed guitar, violins, experimental instruments, organic textures, sound design and impacts designed for experimental scoring in the style of 50’s, 60’s and 70’s film audio. After purchasing, you can download the zipped files and extract them to your folder of choice, then get straight to playing. 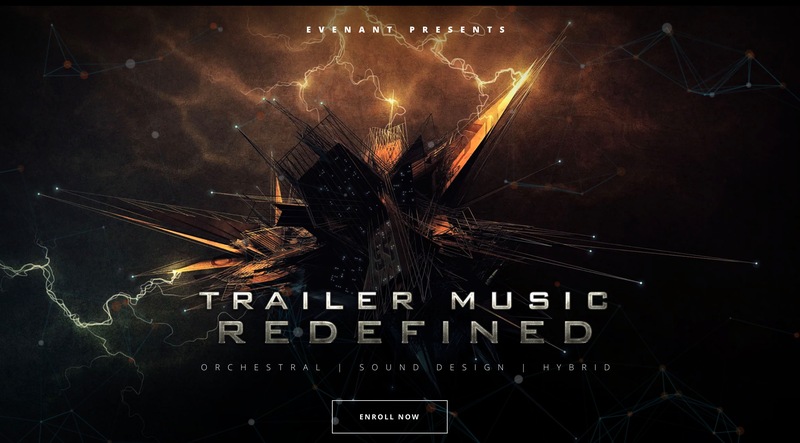 No registration is required as it is a full Kontakt library. To put it simply, Texture Mozaik sounds like a sample library that was recorded in the ’70s and sent to the present. Being recorded to cassette decks gives this library an unmistakably authentic sound that could easily fool anyone into thinking it was a vintage sample package. This doesn’t detract from the library’s quality though, as each sample is expertly recorded and crafted, and the only noise you’ll hear in the samples comes from the “noise” layer that can be controlled freely. This noise only plays back a single layer while playing with the instruments, so there is no noise build up. The result is a warm, characterful tone with plenty of clarity. The ambiences are appropriately strange and true to the kind of design one would hear in yesteryear films, and the bowed instruments sound crisp without the high frequency harshness that digital capture can often highlight. The tremolo and chaotic glissandi of the violins and solo violin ooze with 60’s and 70’s film score character, while the flute sustains and flourishes have the wonderful warmth that comes from being recorded to tape. There are wonderfully weird flexatone sounds that are a signature of many vintage mystery scores, and a variety of foley textures and makeshift instrument resonances that would sound fantastic in retro horror or sci-fi scores. There is both a melodic and industrial element to this library, which makes it useful for more traditional scoring as well as more abrasive stuff – and the tape smooths out the harshness of that rough stuff which gives it an almost dream-like quality and silkiness. The provided impacts aren’t the kind of “impacts” you’ll hear in other sound design libraries. They sound much more like experimental bangs and snippets that came from a mellotron, which in my opinion is a good thing. There are also bell tones and bowl tones, which again sound wonderful recorded to tape and can even aid in meditation if you’re into that kind of thing. Joking aside, I’ve never before heard a library that nails the scoring palette for retro films the way Texture Mozaik does, and the tape only enhances the charm and believability of this palette. You’ll even notice that many sounds have a “dry” and “wet” variant – with the wet option being colored with spring reverb – and many of the sounds were recorded to different tape decks, so there are plenty of sonic textures to take advantage of. Texture Mozaik comes packed in one patch – all of the sounds can be browsed and loaded into three different slots. The first two slots share the main key-range and can be crossfaded between or automated in some ways, which makes it easy to create mixed sounds or new textures. The third slot is set to a lower key-range and has an extra set of impact and experimental sounds with velocity control so that it can act as an accompaniment or enhancer to the primary two sounds. There are also a bunch of snapshots provided that go into really experimental territory, and show off the kinds of manipulation available with the library. Everything is handled logically and ergonomically in the patch, with easy to tweak parameters and special knobs for noise volume and colour, and sample drift and wobble to exaggerate the tape-style effect if needed. It all adds up to a quick and fluid system that doesn’t get in the way of composing, and can be utilised for various sound shaping and manipulation to really get the sounds mangled if you so desire. Also, the reverbs provided are a classic spring, hall and corridor reverb of course! The scripting overall is very well thought out and even comes with a well-written tutorial section in the instrument patch (nifty). While I think the foley and textures sounds would have been great if they were spread across the key-range like the rest of the sounds (perhaps in a future update guys?) the patch overall is simplistic and intuitive – and hey, it even has a faded retro style color scheme. Of course, while more contemporary composers may not find a library like Texture Mozaik to be a useful part of their palette, I still think the sounds are absolute gems for adding subtle color and even tape noise to other recordings (like hip hop or dreampop for example), but those of you who love industrial music, acoustic sound design and retro audio may just fall deeply in love with this rare jewel. All considered, Texture Mozaik doesn’t really have any like-sounding comparisons on the market unless you count things like mellotrons or “vintage-sounding” samples. The authenticity of the tape deck and the focus on old school acoustic design is a combination that you’ll hardly find anywhere, especially at this level of quality. There’s nothing quite like it. Of course, while more contemporary composers may not find a library like Texture Mozaik to be a useful part of their palette, I still think the sounds are absolute gems for adding subtle color and even tape noise to other recordings (like hip hop or dreampop for example), but those of you who love industrial music, acoustic sound design and retro audio may just fall deeply in love with this rare jewel. All considered Texture Mozaik doesn’t really have any like-sounding comparisons on the market unless you count things like mellotrons or “vintage-sounding” samples. The authenticity of the tape deck and the focus on old school acoustic design is a combination that you’ll hardly find anywhere, especially at this level of quality. There’s nothing quite like it.